Pete and Tom DeBrular: Brothers In Arms. On Tuesday, we introduced you to Pete DeBrular, the Garveston Twelve and our quest to find Pete’s living relatives. Yesterday, on Letters From War Wednesday, we featured Pete DeBrular’s last note home, written on June 2, 1944, just two days prior to his death at Garveston, England. Today, we are pleased to announce that we located Pete DeBrular’s brother, Tom, who himself has an amazing story of life and death while serving with the 62nd Seabee Battalion on Iwo Jima. The five DeBrular brothers grew up in Cromwell. Pete and Tom were the youngest, close in age and relationship. Their father died when Tom was just one-year-old, leaving their mother to raise five boys on her own during the Great Depression. It proved too much. Tom’s mother died when he was just nine. And his brother, Pete, was only eleven. Pete graduated in 1941 and soon after fell in with the U.S. Army Air Corps. Following stateside training, he joined his crew at North Pickenham, England as part of the 856th Bomb Squadron, 492nd Bomb Group, 8th Air Force. 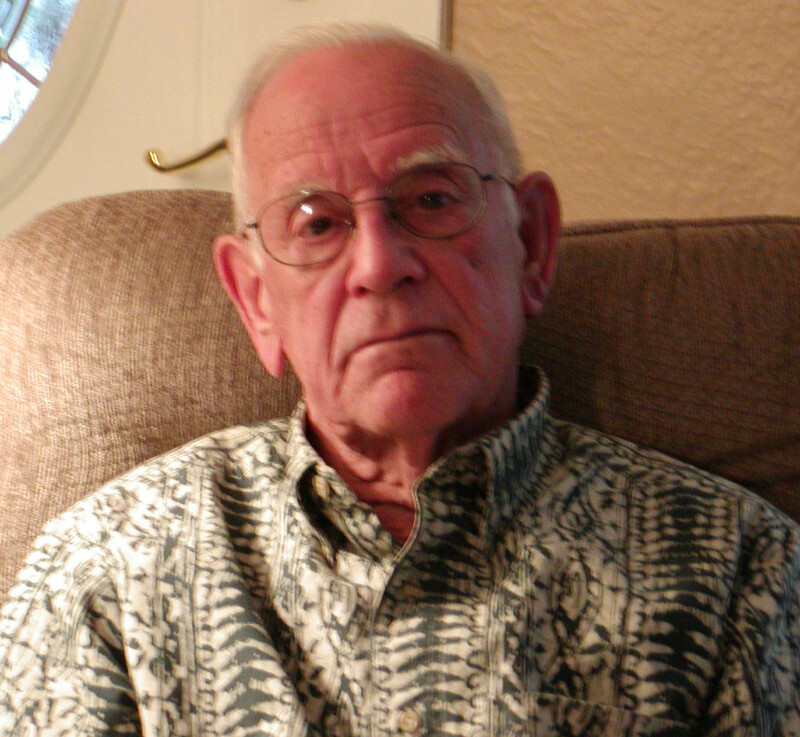 Pete served as a waist gunner aboard a B-24 Liberator, piloted by Lt. Ray Sachtleben. While Pete and his crew mates were seeing to bombing runs over Northern Europe, Tom was rebuilding Pearl Harbor. “We spent thirteen months there, fixing it back up after the attack,” he said. Almost immediately, the Seabees began working on runways. “That’s why we wanted Iwo,” Tom said. “That’s why it was so important. I remember seeing the first plane land. It was a spotter plane, a piper cub. And it made it. “They’d line those dozers up along the runway, and we’d go down and grease each one. That ash and sand really fouled things up on the dozers, so you had to keep them lubed up. The 62nd Seabees would spend the remainder of the war on Iwo Jima. 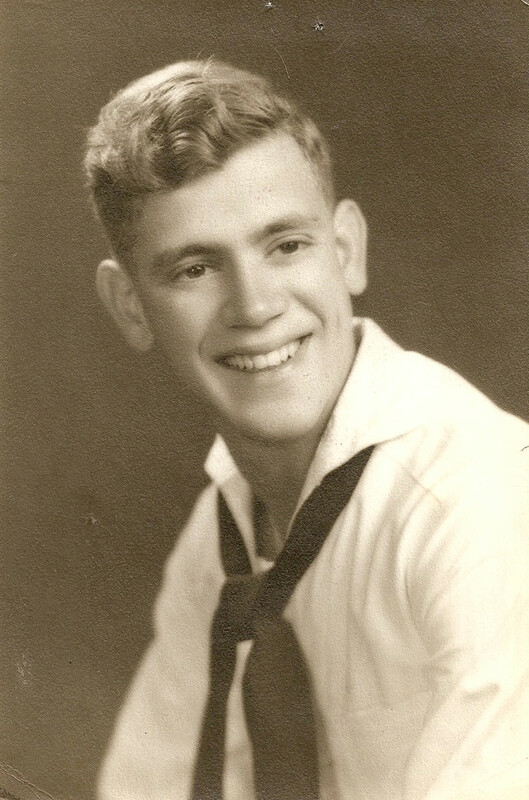 Following VJ Day, Tom hitched a ride home aboard the USS Cummings. In 1948, he married Geraldine Schlabaugh. And now, some 14 years later, thanks to the truly amazing residents of Garveston, England, another visit may be in the works. Stay tuned. I have heard Mr. Tommy *(I say that with respect) relate this story a couple of times and the faith he has is never changed. His belief in a higher being clealy shows through all that has crossed his path. Mr. Tommy, I applaud you for ALL of you sacrifices and work then and now for our World, Nation and Community! And Tom DeBrular doesn’t look a day older than the day I met him. I really enjoyed your story. I have a friend, Arnold McKerely, from Alabama that was in the 62nd Sea Bee Battallion and has also related many stories to me. I would like to write a thorough story about him and the 62nd Sea Bee Bat. However, I have had a hard time finding information. If you have additional info that you would like to share or a source for more info, I would greatly appreciate it.